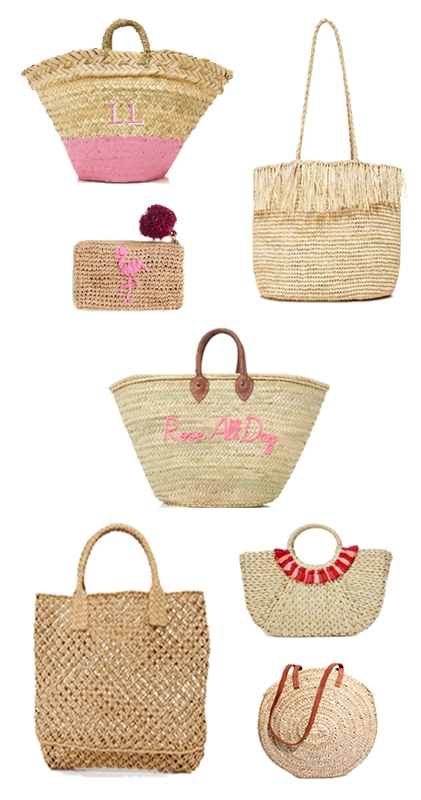 I first discovered my love of straw market bags in the French Riviera while roaming through the most incredible open air market. The market was filled with every desirable provision you could imagine - fresh flowers, tables full of the most aromatic spices, handmade soaps, jellies and jams ... I could go on and on. And just so perfectly placed adjacent to the market was the cutest little shop selling the quintessential French straw market bags. The second I laid eyes on the classic straw tote I knew one had to be mine. I didn't care that I still had a week left in Europe or a long trip back to the States, it was coming home with me! I am so happy I made that decision. It serves as a multi-function tote (great beach bag) and is seemingly on trend right now. I don't think an item as classic as the French market bag would ever not be 'in', but they seem to be popping up everywhere these days! We may not be in France, but the French market bag has become a chic new accessory that has uses that extend far beyond just toting around items from the French market. Although lets be honest, we all know we wish that is what we were actually doing... we'll just have to keep pretending. On the positive side, these totes are perfect for just about anything and everything. As I mentioned before, I love toting mine to the beach but it is also perfect for running errands or even using as a handbag. 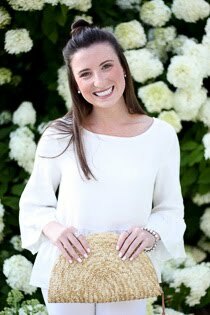 I have rounded up some of my favorite straw bags out there right now for you all to check out. They're all so good, I want one of each! The classic style market tote is a must have and is even more fun with a monogram or fun expression on it. I've linked the rest of them below - let me know which are your favorites! Enjoy!